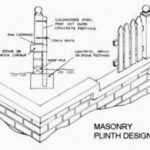 Various soil loads and pressures require different treatment depending on the position of the retaining wall, the load it is designed to take and the use of materials in its construction. Treated Pine retaining walls are the cheaper alternative providing the soil that is to be retained, and hence the soil pressure, is minimal. 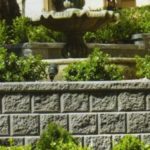 Brick retaining walls and stacked concrete or stone block are stronger than treated pine and offer a choice of attractive finishes. 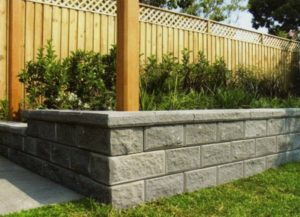 A retaining wall that is required to hold significant soil pressure should be constructed from reinforced concrete or core filled concrete block. 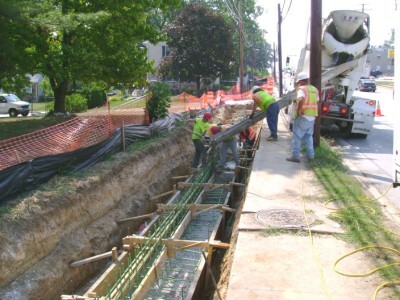 In some situations it is advisable for a structural engineer to custom design a solution. 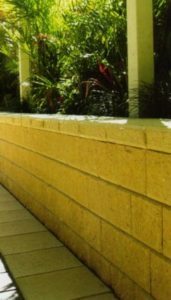 All Day Fencing install concrete block retaining systems and core-filled structural retaining wall systems made from faced concrete blocks. There are six colours currently available, Oatmeal, Bondi Blend, Sunstone, Port Blend, Charcoal and Fossil as shown below. 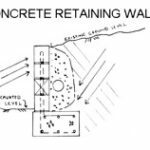 For those who like to ‘do it yourself’ download our guide to building concrete block retaining walls. 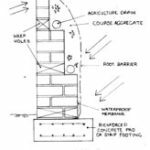 The guide includes samples pictures from a completed residential retaining wall project plus plans, materials lists, footing designs, tips from the experts and more! 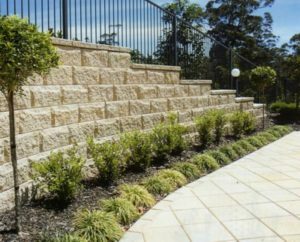 Retaining Walls Made Easy! Fence designs such as picket, paling, and timber slat can all be located on the top of retaining walls.